Browse through the available items and order at will. View basket “Forgotten Pathways – Linocut Artwork Print: “The Pigeon Girl”” has been added to your basket. This is the MC version of “A Long Way Home”. You’ll receive a black, handlabeled MC record (C-70), containing the new album of Forgotten Pathways. It will make a fine addition to your music collection and is accompanied by a 6-page booklet, including a unique artwork that was manually crafted by linocuts. For a preview and more info, look here. 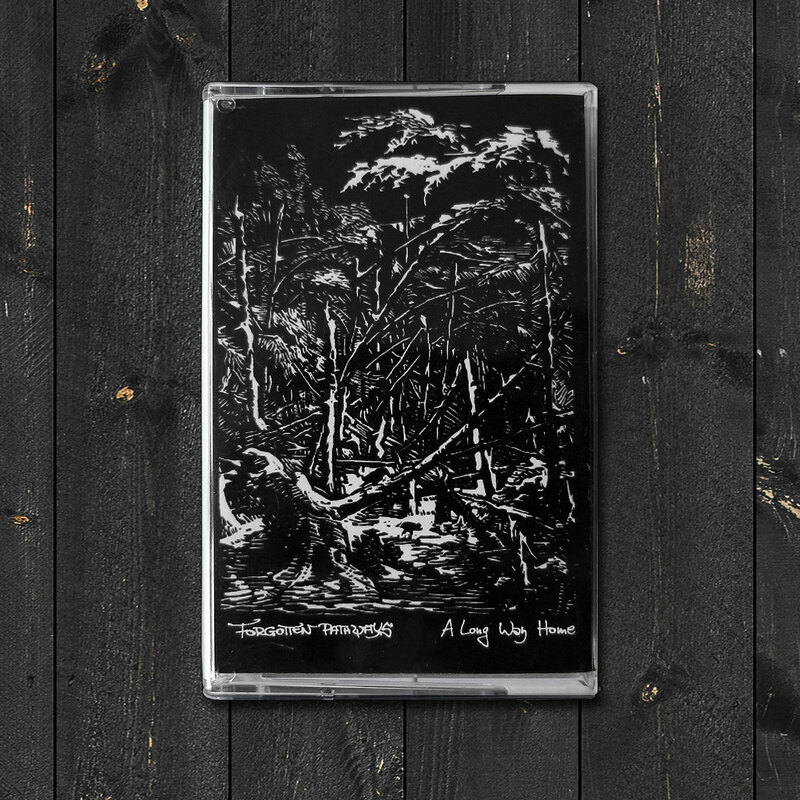 The Forgotten Pathways tape edition contains 2 bonus tracks and is limited to 100 copies (they’re handnumbered). Running time is 67:47 minutes. First 50 orders of the CD or MC version receive a free “Nightmoth” poster! A strange place for strange music.